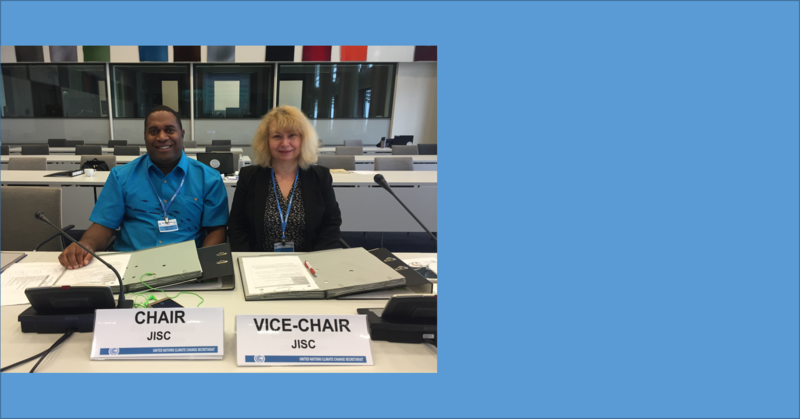 Bonn, Germany, 19 May 2017 – The Joint Implementation Supervisory Committee (JISC) at its 40th meeting held on 19 May elected Mr. Albert Abel Williams, Member of Parliament, Vanuatu, and Ms. Gherghita Nicodim, Counselor at the Ministry of Environment, Romania, as Chair and Vice-Chair, respectively. 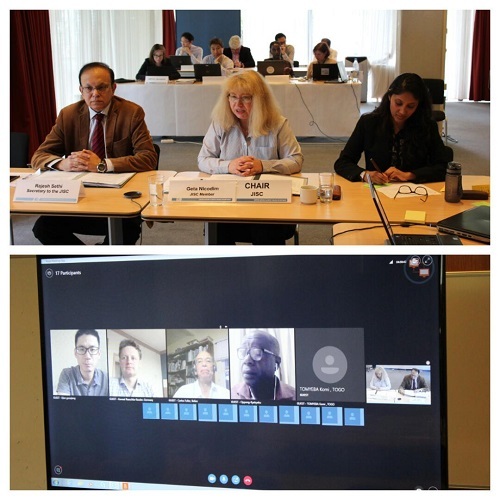 Bonn, Germany, 17 March 2016 – The Joint Implementation Supervisory Committee (JISC) at the start of its 38th meeting elected Konrad Raeschke-Kessler, an official in the German Federal Environment Agency, and Albert Abel Williams, Member of Parliament and Special Envoy for Climate Change, Environment and Disaster Risk Reduction, Vanuatu, as Chair and Vice-Chair, respectively (left to right in photo). Both will serve in their executive capacities until the first meeting of the JISC in 2017. The JISC hosted a side event on the 30th of November in Paris titled: How a crediting mechanism can assist countries in their contributions to address climate change. The event explored why provisions for collaboration are needed in the agreement being crafted by Parties. The Joint Implementation Supervisory Committee adopted its two-year business and management plan and agreed on its annual report to Parties to the Kyoto Protocol at its 37th meeting. The mechanism, facing serious challenges, is a ready-made tool well suited for operation under an emissions-capped environment. Under Joint Implementation, countries with commitments under the Kyoto Protocol are eligible to transfer and/or acquire emission reduction units (ERUs) and use them to meet part of their emission reduction target. In response to a request by Parties at the UN Climate Change Conference in Doha, Qatar, the secretariat regularly publishes an updated table of issuances of emission reduction units. I have an idea, what should I do? What are the benefits for host countries? Learn more about the Joint Implementation mechanism, how it works and how it differs from the Clean Development Mechanism.